Meadow foxtail is a moderately tall, erect, tufted, leafy perennial grass. 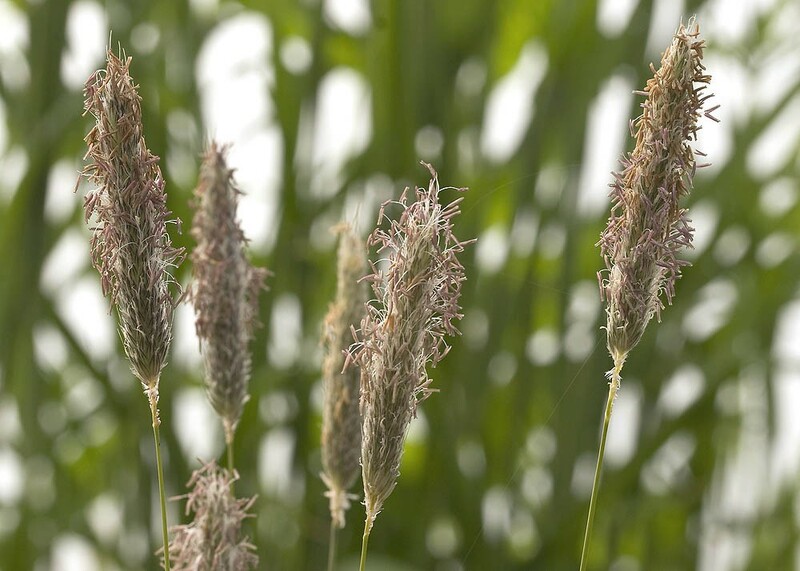 The most distinctive feature of this grass are its long cylindrical flower heads with short silky hairs from which it gets its name 'foxtail'. It is one of the earliest grasses to grow and flower in spring. It has smooth wide flat leaves. 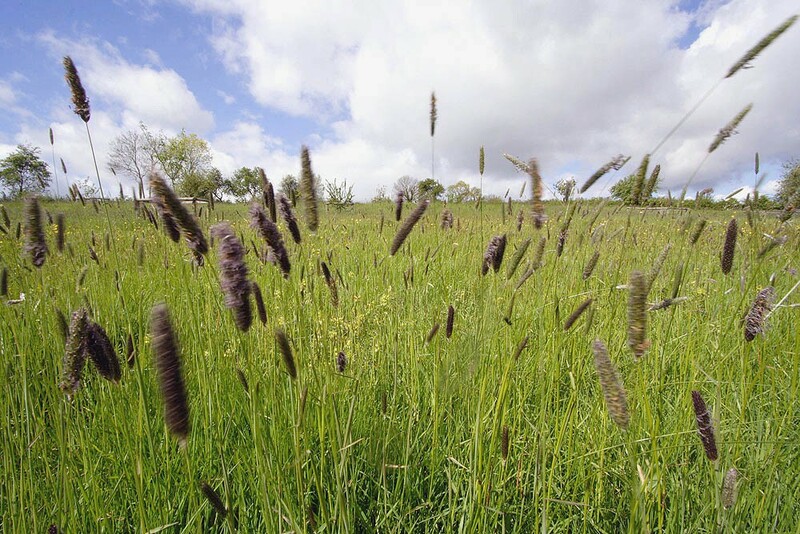 Meadow foxtail grows in a wide range of grasslands but is particularly at home on moist and fertile soils. It is the characteristic grass of lowland water meadows and floodplain grassland which are seasonally wet, but avoids permanently waterlogged soils. It is absent from wetlands and from very dry and free draining sites. It is moderately tolerant of shade so is also found along roadsides, hedgerows and woodland margins. 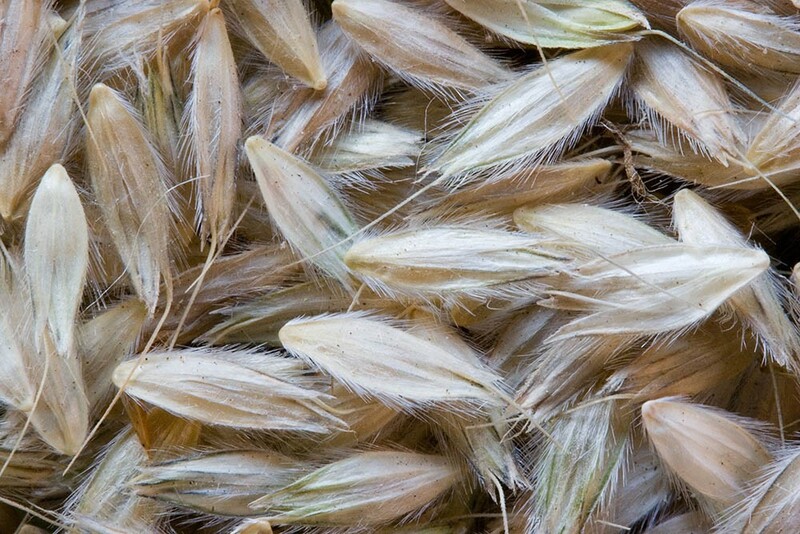 Meadow foxtail seed be sown at any time of the year when soil conditions are suitable. As both its latin and common names indicate this is a grass of meadows, ie grassland which is not mown as a lawn, or grazed as pasture all year round as it is not tolerant of heavy grazing or trampling. In modest proportions it is a useful component of meadows, both visually and functionally. It is a leafy palatable grass and its early spring growth welcomed by graziers as an 'early bite' for livestock in spring. It is a nice grass to mow and produces good quality hay but is early to mature; floodplain foxtail meadows are typically mown in June rather than July. Where growing conditions (moisture and fertility) are ideal it can be a productive grass. Because of its early growth and potential productivity it is important to manage it well in meadows maintained for their floral diversity, particularly so on fertile soils. Mowing or grazing to remove the first flush of growth in spring will help tame its lush vigour, maintain sward balance and delay maturation of the hay crop. 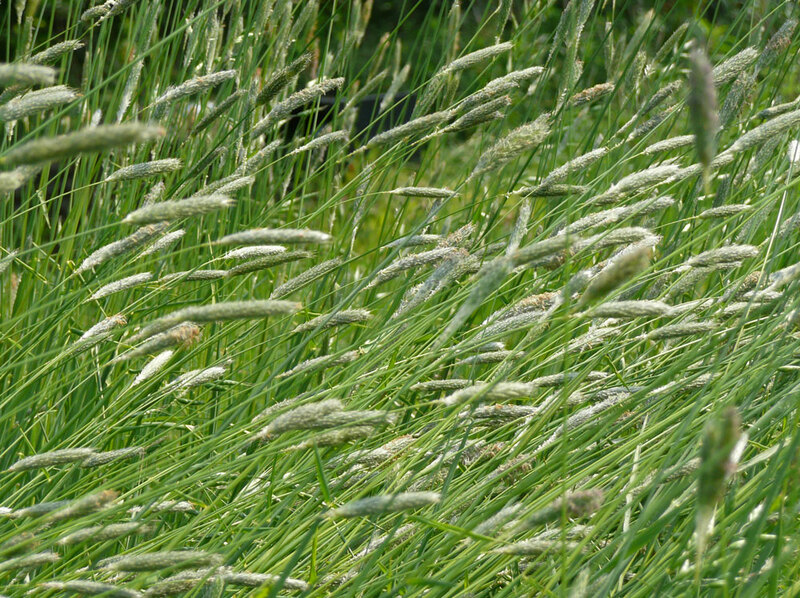 Meadow foxtail stands well and is an easy grass to mow with a scythe.